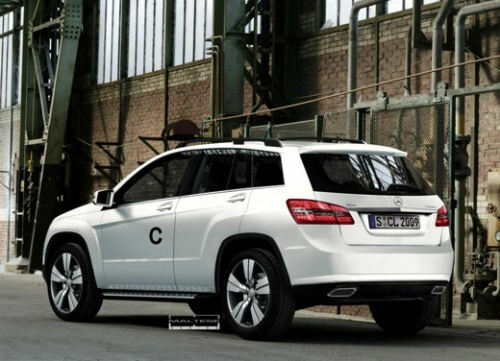 Daimler has released today the images and details of the refreshed 2011 Mercedes ML63 AMG Facelift. 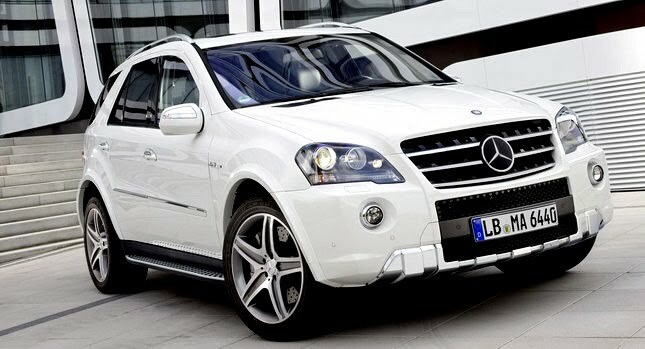 The power of the 2011 Mercedes ML63 AMG Facelift still comes from the 6.3-litre V8 engine and not from the newly developed 5.5-liter engine. 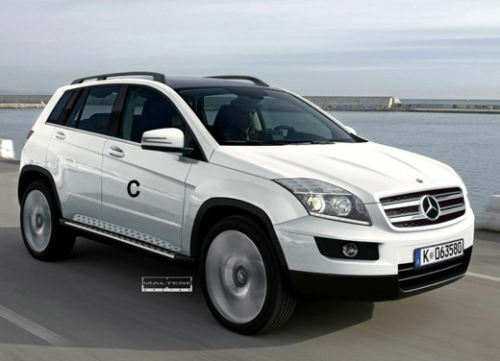 This means the 2011 Mercedes ML63 AMG Facelift develops 375 kW (510 hp) at 6800 rpm and 630 Nm of torque. The officials numbers say the updated SUV can accelerate from 0 to 100 km/h in 5 seconds and that it has a limited top speed of 250 km/h. incorporating a clear-lens design and LED technology. These minor updates of the 2011 Mercedes ML63 AMG Facelift are completed by the high-gloss, chromed front and rear underguard. The 2011 Mercedes ML63 AMG Facelift is also equipped with the company's trick SPEEDSHIFT 7G-TRONIC automatic transmission with three drive modes and the AIRMATIC air suspension.